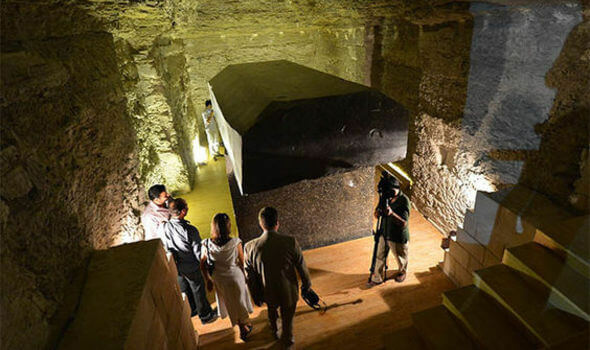 They weigh more than 100 tons, they are solid Aswan granite, and they are precision engineered to tolerances which would be deemed remarkable today. 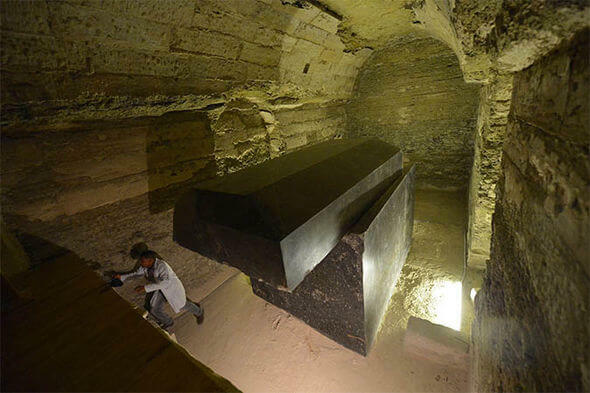 So how did the ancient Egyptians build and put in place the 24 strange and sinister coffin shaped black boxes discovered buried in a hillside cave system, 12 miles south of The Great Pyramid of Giza? And more importantly, why? The skillfulness of the stone cutting, accurate to just a few microns, is so remarkable that some experts have concluded that they were not built for Egytian pharaos but in fact left on earth by and alien race and simply appropriated by the kings. The stark black boxes do display some hieroglyphics but they are of such poor quality that the scribbles are regarded as graffiti. The real purpose and function of the boxes remains unclear, but the were clearly of importance, as they were cut with such precision they would remain airtight for many millennia. They are known as the Serapeum of Saqqara in the now abandoned city of Memphis, Egypt. The formal burial site is believed to have been built sometime 3300 years ago by Ramesses II. 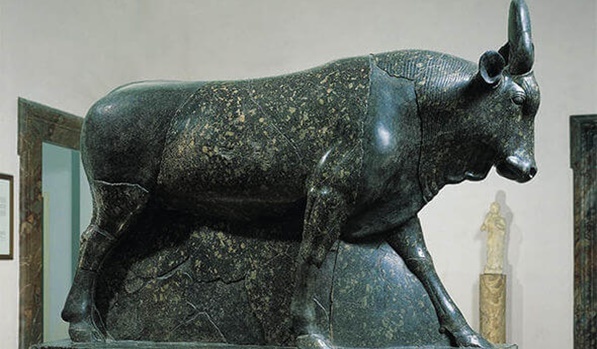 Recent research suggests it was a burial place of Apis bulls, which were worshipped as incarnations of the god Ptah. 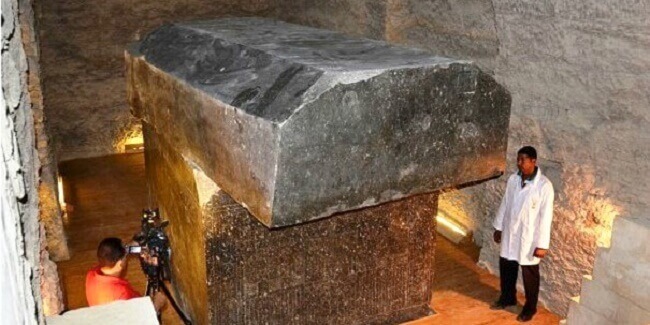 Egyptologists say that because the bulls were honoured as gods Khaemweset, a son of Ramesses II ordered that a tunnel be excavated through one of the mountains at the site and designed with side chambers to contain large granite sarcophagi weighing up to 100 tons each, to hold the mummified remains of the bulls. The temple was discovered by Auguste Mariette, who had gone to Egypt to collect coptic manuscripts, but later grew interested in the remains of the Saqqara necropolis. In 1850, Mariette found the head of one sphinx sticking out of the shifting desert sand dunes, cleared the sand and followed the boulevard to the site. After using explosives to clear rocks blocking the entrance to the catacomb, he excavated most of the complex.